It's also my kids birthdays. I don't know how I managed it, but all of my kids were born within 5 months time...and 3 of them were born within a month of each other. It can get a bit hectic around here. My idea was to originally let them have a birthday party every other year, so I only had to worry about 2 a year. Since moving here, I haven't been very good at that. We haven't had "real" birthday parties in 4 years. It's not that I didn't want to, but the fall can be a VERY busy time of year. So I've been trying to plan ahead and begin preparing for parties so I can be sure I'm on top of everything and can actually be a "good" mom this year. 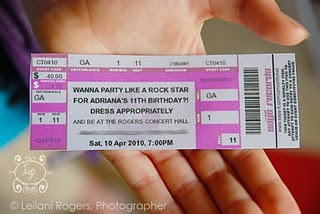 I've started thinking of ideas for my soon-to-be 10 year old's party since he's first in line. He loves music. He loves video games. He is a typical gamer-skater boy. So I thought I rock star party would be awesome for him. In searching the net for a rock star party, I found this great one by Lei of My Many Colored Days. Her party was for her 11 year old daughter, so I'm not sure I can copy ALL of the ideas...but I love the decorating and will have to look at tweaking it a little for boys. Look at these fun invitations. I think I have some ticket stub designs somewhere in my repertoire and will have to definitely include them! How about this great walkway? 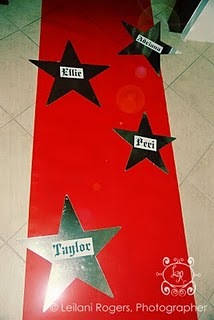 I love how the guests names are on the stars. Very clever. 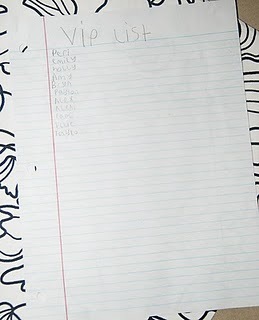 The "bouncer" was even complete with a VIP list with all the guest's names on an Elite clipboard. Talk about making it real! 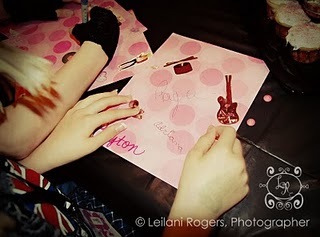 Each guest got to make an Autograph book and each of the stars got to sign it for a fun take home favor. 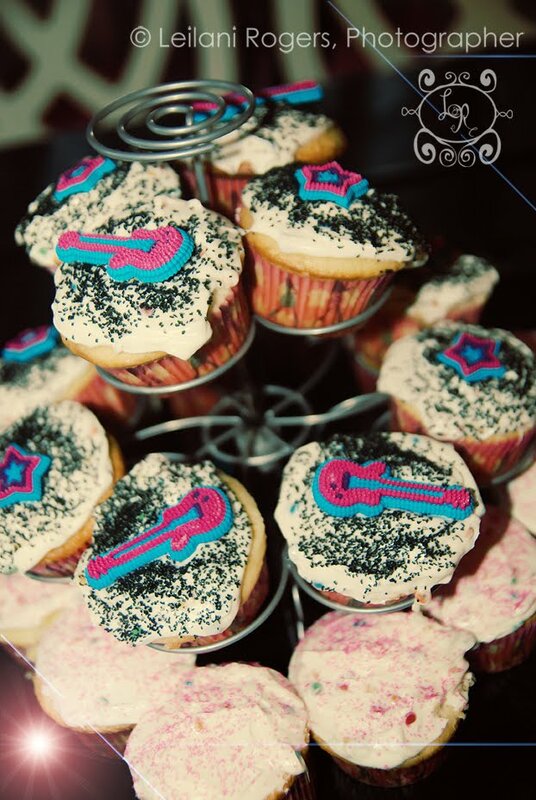 Keeping with the theme, the party favors were rock star approved. 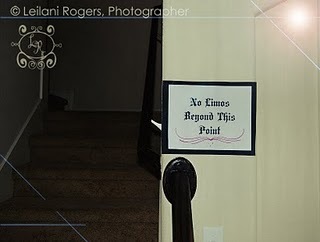 And from a Mom's point of view...how clever is this sign to make sure the guests stay in the approved area? I Love it! 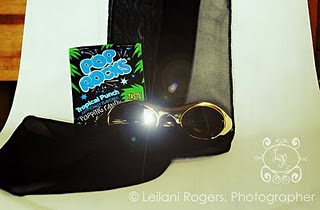 Be sure to check out Lei's post for more great ideas, including her play list! I'm glad you liked it. It was so fun! And thanks for the mention. I look forward to getting to know your blog! what did you use for the red carpet idea? carpet? When I did the party, we went and bought a red plastic table cloth to run down the walkway. I am sure you can use whatever works for you or what you have on hand to be cheaper!